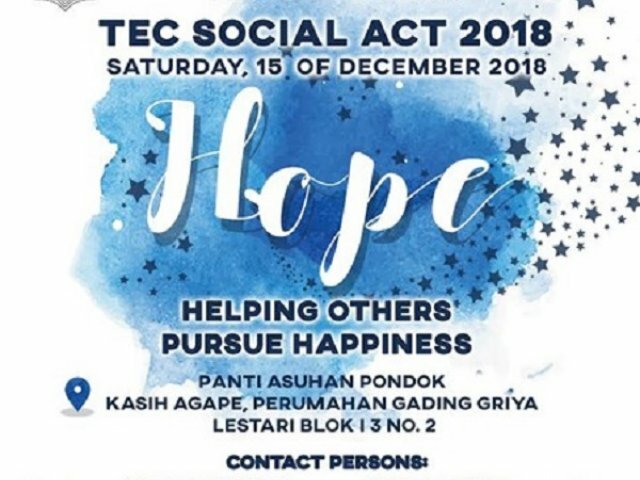 Social Act 2018 – HOPE “Helping Other Pursue Happiness”, this charity program is dedicated to the children from an orphanage. In this occasion, we can share happiness and get closer to them. Together we enliven this event by donating your preloved stuffs or some money you have. No matter how much you donate, it will be very meaningful for them.